What Branson trip would be complete without a trip to Silver Dollar City? My girls love it there. 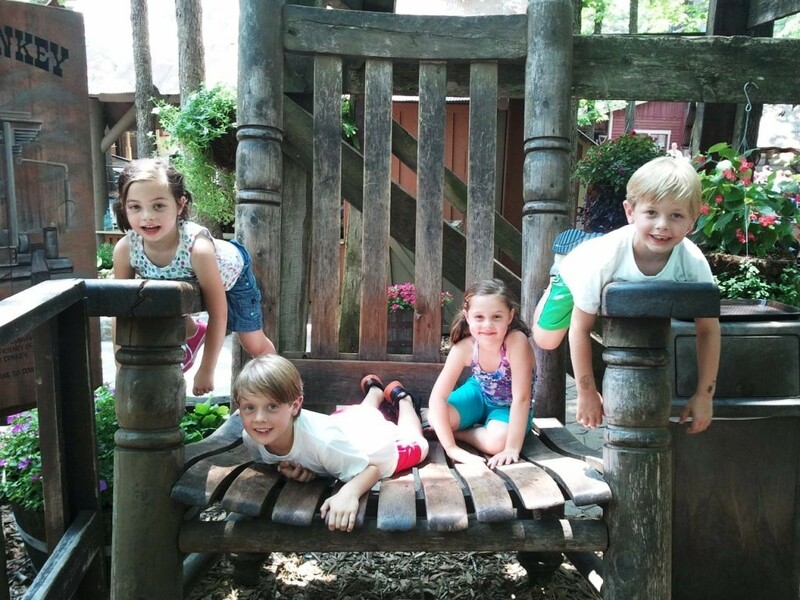 This time they were accompanied by their cousin's Carter and Tucker. So, instead of 2 crackheads, there were 4. Actually the kids were great and they had a blast. I am pretty sure I am still wet from the water rides. 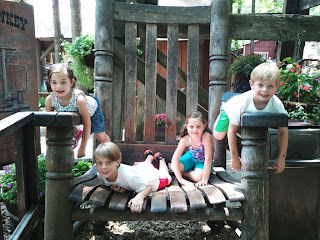 Here are the 4 of them in the giant rocking chair that has been in SDC since my parents began taking me when I was a kid. There are pictures of my brother and I in this chair somewhere. This is the picture of the day.